Tired of hand drawn data models, or models drawn in Visio or even PowerPoint? Still limping along on an old Oracle Designer repository? Can’t afford the license for your current modeling tool anymore? Or maybe your shop has no documented data model diagrams at all (horrors!). 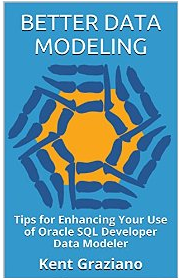 Well, if you were an Oracle Designer user and are looking for a replacement data modeling tool, or you are using one of the other mainstream, expensive modeling tools and want a more cost effective alternative, then you owe it to yourself (and your organization) to look at Oracle SQL Developer Data Modeler (SDDM). Data Modeler has been around for over five years now and is up to version 4.1. It really is an industrial strength data modeling tool that can be used for any data modeling task you need to tackle. 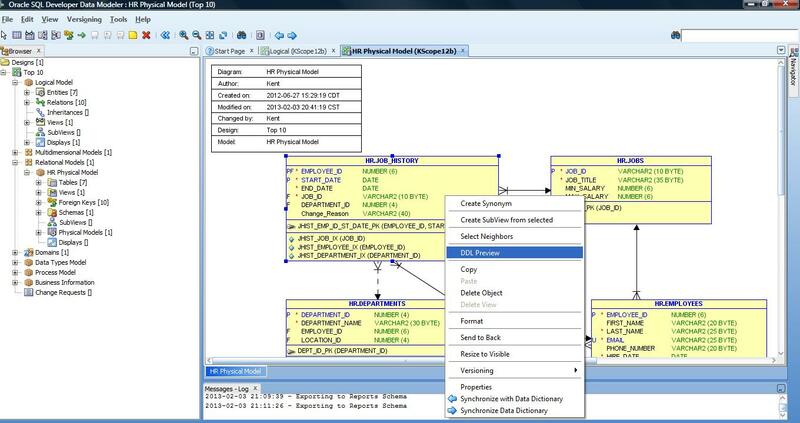 As I have mentioned before (many times) in this blog, SQL Developer Data Modeler (SDDM) is a fully functional modeling tool provided for FREE by Oracle. It has many features built in that can be leveraged to capture the design of an existing (probably undocumented) database and re-engineer it or you can use it to design a new database, even a data warehouse from scratch. There are features to apply standards, and then generate DDL to implement your newly standardized design. You can even use one logical model to develop multiple physical models that can be deployed to different RDBMS (like Oracle, SQL Server, and DB2). You even have options on the type of notation used in the diagrams (i.e., Barker, IE, etc.). Unfortunately there are no comprehensive, end-to-end classes that can teach you how to really get started with SDDM and can point you to some of the awesome features and show you how they work. Announcing my new online class: Introduction to Oracle SQL Developer Data Modeler. This course will start from a totally blank page and walk you through all the major features and options of the tool to show you how to design build and deploy a database. I provide lots of examples and tips on how to do all this so that you can quickly be productive (while you watch!). In this class, I will introduce you to the tool and show you how to use some of the cool features I use almost daily. I will provide step-by-step instructions on how to use these features. The class includes both lectures with screen shots and hands on demos of the tool (recorded live by me). Hint: some of my best tips are in the demos. As an added bonus, in addition to step by step slides, and the demos, I have included a zip file with example output, templates, and DDL scripts that I created during the demos. You will be able to download these to your machine to try the exercises yourself. If you have questions along the way, our modern learning management system (LMS) lets you enter your questions in the course comments whenever you want. I will get an immediate email notification so I can promptly answer your questions. Unlike typical user group presentations, where I can only scratch the surface or show a few tricks, this course contains over four and a half hours of content broken up into bite-sized modules so you can easily digest the detailed information. If it does not make sense, you can simply play the same segment over again and even follow along on using your own install of SDDM. By the end of the course you will be able to effectively use Oracle SQL Developer Data Modeler for all your data modeling tasks. So head over to Learn Data Vault and check out the preview video of the class, then sign up and learn. Use my special offer code of GRAZIANO10S to get 10% off. P.S. The current price of the course is the initial sale price. I am not sure when the price will go up but Dan and Sanjay tell me that I set the price too low and they will have to raise it in the near future. So, I would sign up now, before that price goes up.